And the book says, "We may be through with the past, but the past ain't through with us." 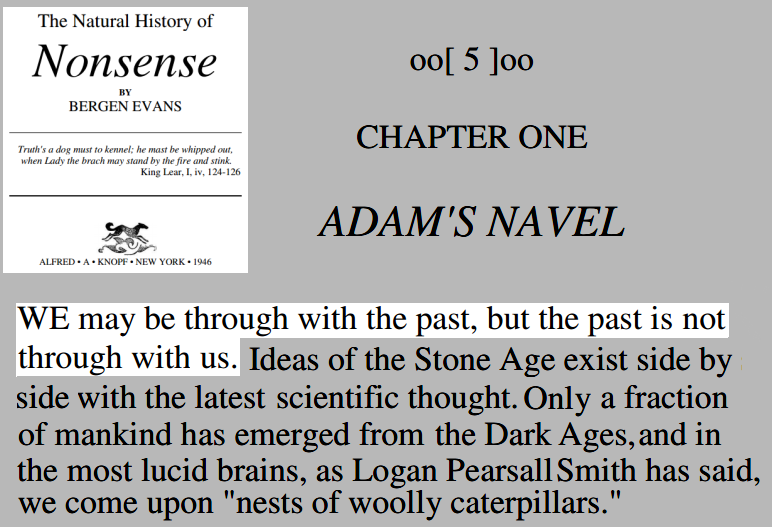 The full text of "The Natural History of Nonsense" is available from a personal page on the history of Cape Cod. The book itself is by renowned lexicographer Bergen Evans and concerns superstition in modern times. I think I'll buy it. Someday. Hey, I wondered, too, what book was being referenced. The quote sounds like something a great philosopher or writer of fiction would say.